Can you identify a missing component? 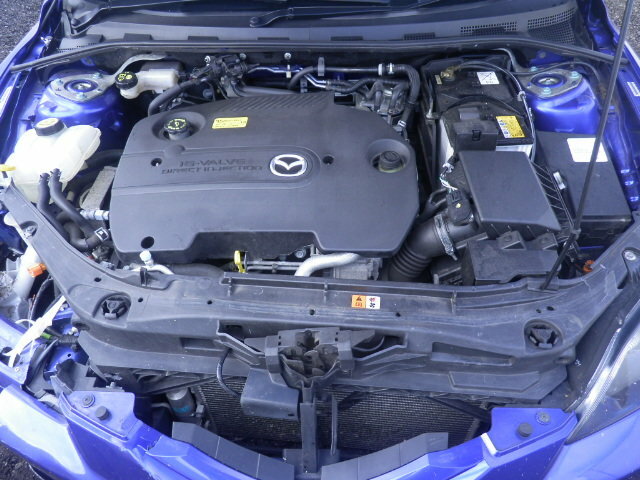 My wife's Mazda5 appears to be missing a component ahead of the air filter, resulting in a very noisy engine. I've trawled Google looking for a photo of how the engine bay *should* be and determined a gap. Could any of you kind folk possibly identify the missing component? It's a 2009 2.0 diesel. Our car, with something missing. 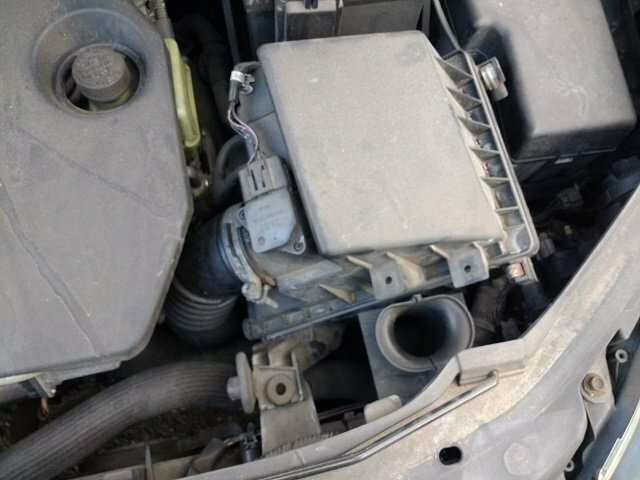 This Googled photo appears to show something in front of the air filter housing. That is so kind of you, thank you very much! Can you help me identify this broken part by pictures attached? Can you help me identify the engined they swapped? Can you identify this - is it a new Mazda 5? Quick Reply: Can you identify a missing component?